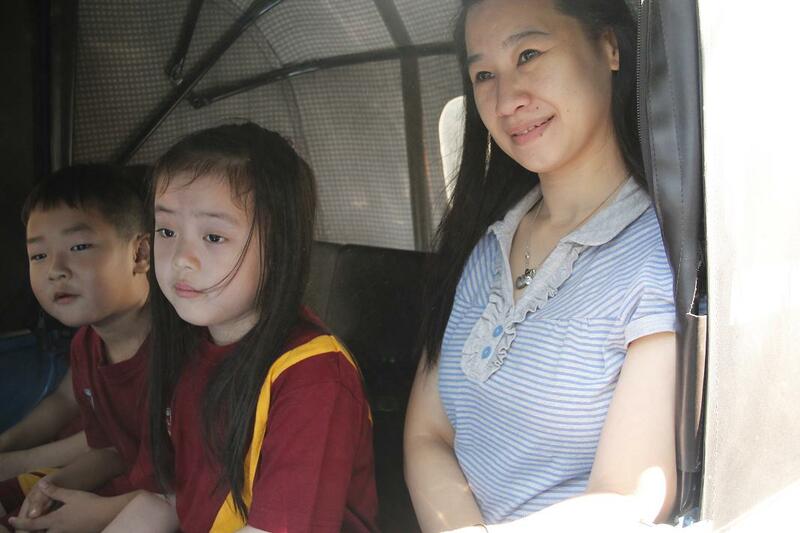 HAVING FUN TAKING A BAJAJ! 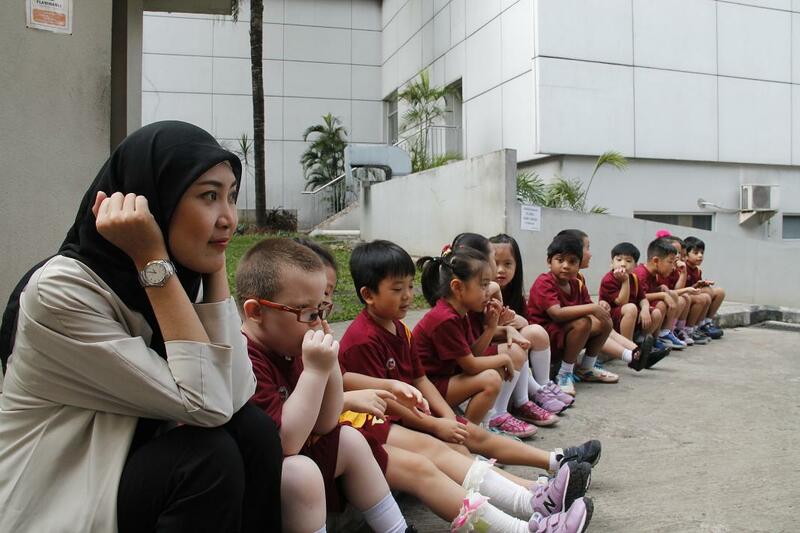 Knowing public transportation is part of the must-having knowledge for EY3 students of BINUS SCHOOL Simprug. 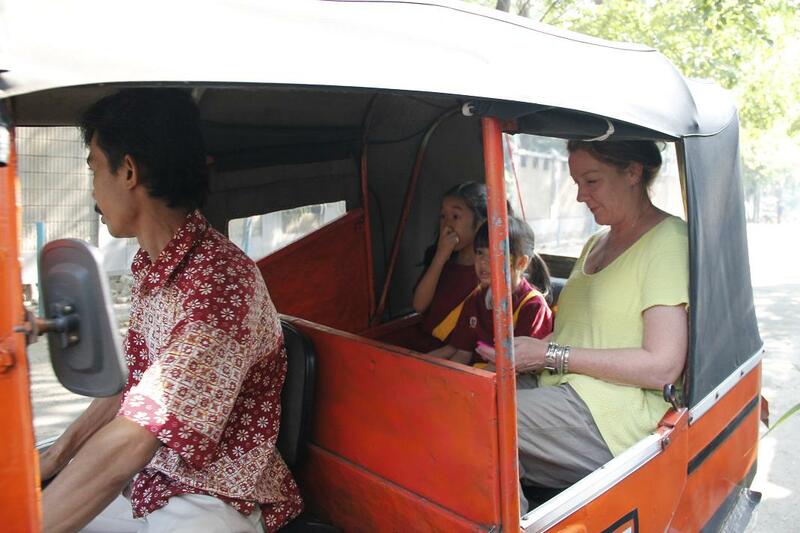 Since an early age, they are introduced with kinds of public transportation in Indonesia, especially in Jakarta. Although this is a basic skill, it is important for entering the community life. 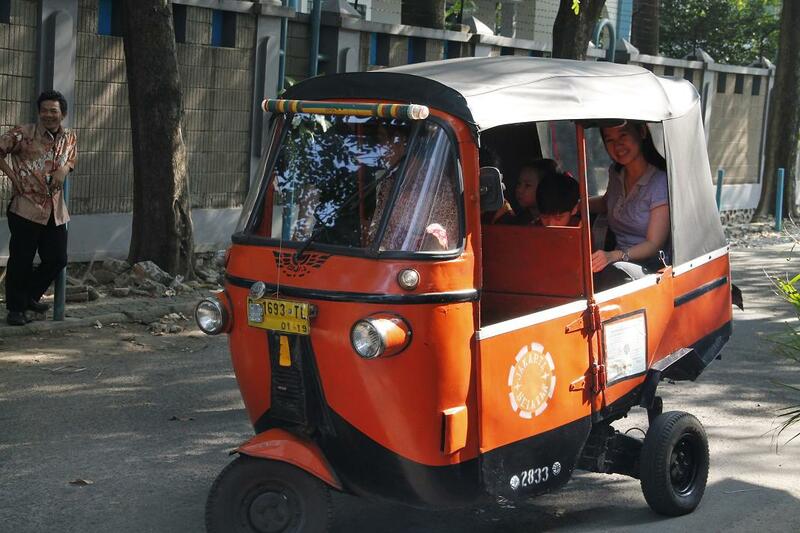 On Friday (22/5) the EY3 students took the special vehicle in Jakarta – bajaj. 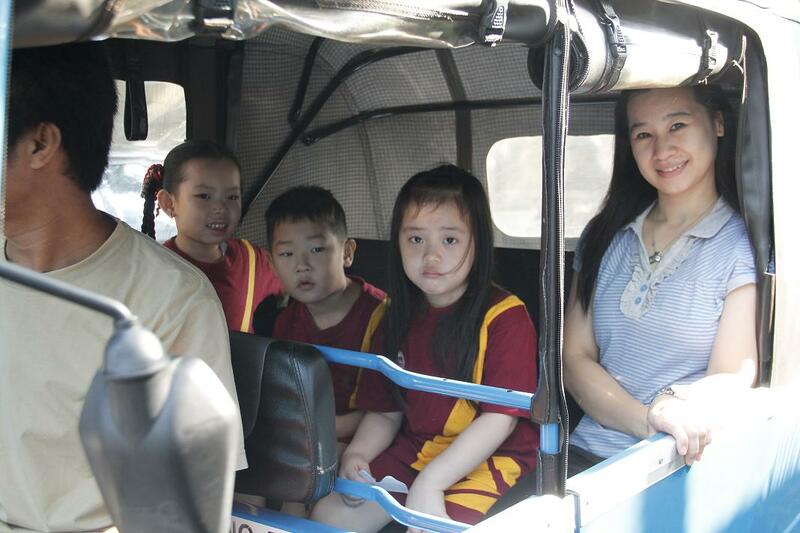 They in turn got into bajaj accompanied by their teachers. 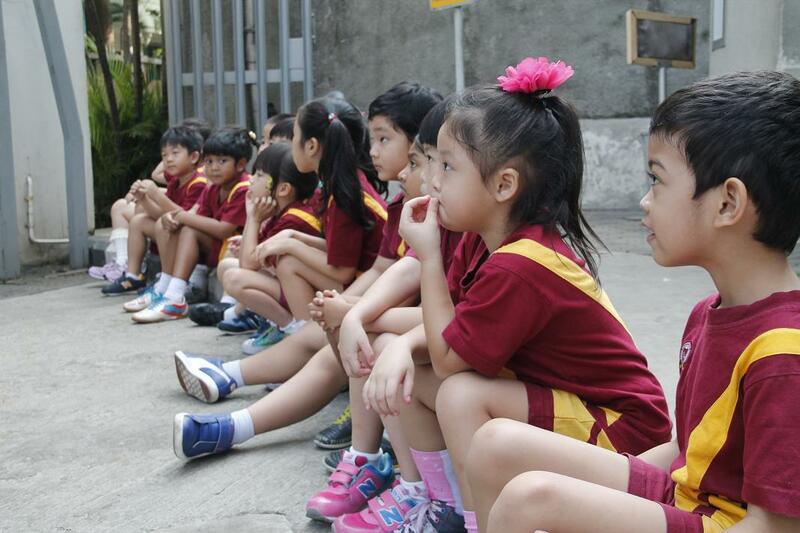 The interesting thing happened when these pure children were excited to take two bajajs, the blue and the red, at once. Each student then got on twice, once for each bajaj. 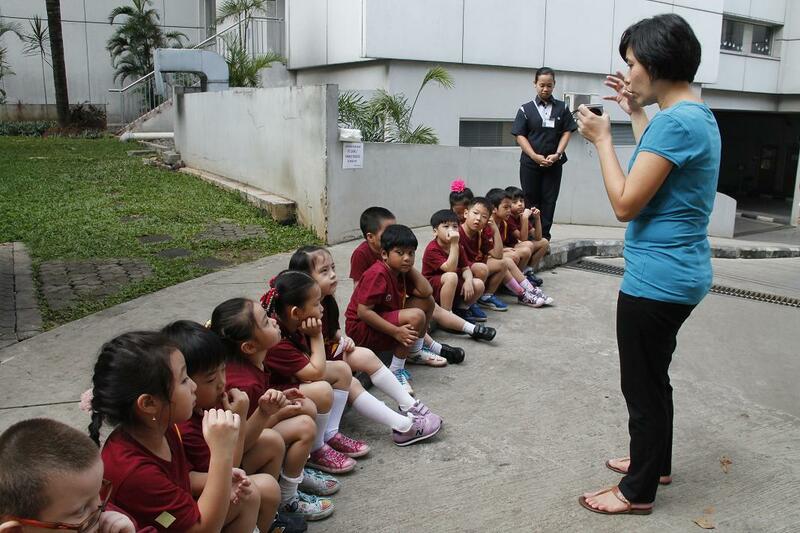 While waiting turns, the teachers explained to the students about many professions around the school like security guards and cleaning services. Not only the job descriptions of the jobs, but the students were also told about the clothes (uniforms) and equipments used to those professions.